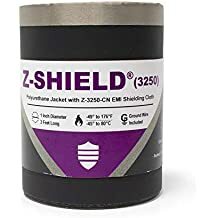 Snap-Grip® (AL) is a commercial-grade PVC jacket laminated to an Aluminum foil EMI shield with a 15 AWG Tin/Copper drain wire and Nylon snap button closure. The material is intended for protected, indoor shielding applications where the snap-button spacing makes wire breakouts easy. 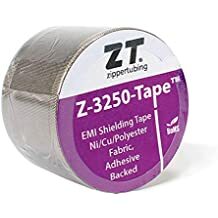 This product provides good EMI shielding performance at an economical price, and the unique Snap-Grip® system is easy to apply and re-open when required. Since no tooling is required to install or remove the jacket, it makes wire harness installation in cabinets, appliances or restricted access areas easy.